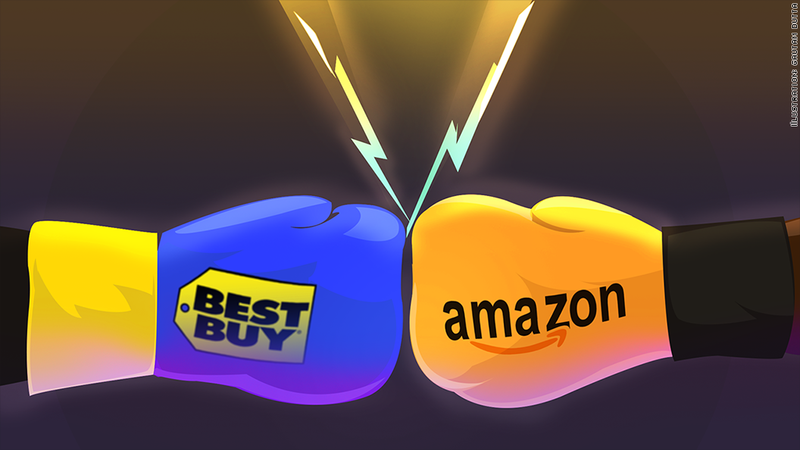 In the battle against the almighty Amazon (AMZN), Best Buy (BBY) just booked a win for the brick and mortar team. The retailer reported Thursday that it nearly doubled its third quarter profit over last year as American consumers helped drive a bump in comparable store sales. Best Buy's results are particularly poignant for a company that has fallen victim in recent years to the so-called "showroom effect," in which customers visit stores to check out products in-person, and then go home and buy online somewhere else like Amazon. 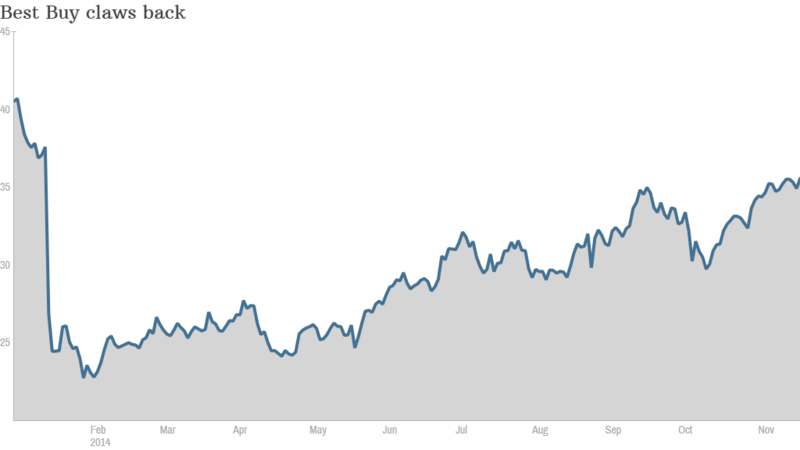 Shares of Best Buy jumped 8% in morning trading. The stock took a beating early in the year as investors soured on its turnaround plans, but it's since clawed back dramatically, and is now only a few percentage points away from breaking even. Compare that to Amazon's stock, which has fallen almost 20% this year as quarterly losses mount and investors grow increasingly anxious that the company's big investments in such things as its Fire Phone aren't paying off. To be sure, it's not as if consumers are returning to their pre-Internet era roots and flocking back in droves to Best Buy's physical locations. But Best Buy is doing a better job at fighting back against Amazon in the digital realm. The firm experienced a 22% jump in U.S. comparable online sales last quarter. And it's working hard to make the customer experience of purchasing electronics in-store more convenient. It also has a price matching guarantee where Best Buy will equal prices of major online retailers. The company touted computing, gaming, televisions, and appliances as strong points last quarter. And while it had complained in previous quarters about a dearth of inspiring products from the tech world, Best Buy likely benefited from the roll out new exciting devices from Apple (AAPL) such as the iPhone 6. 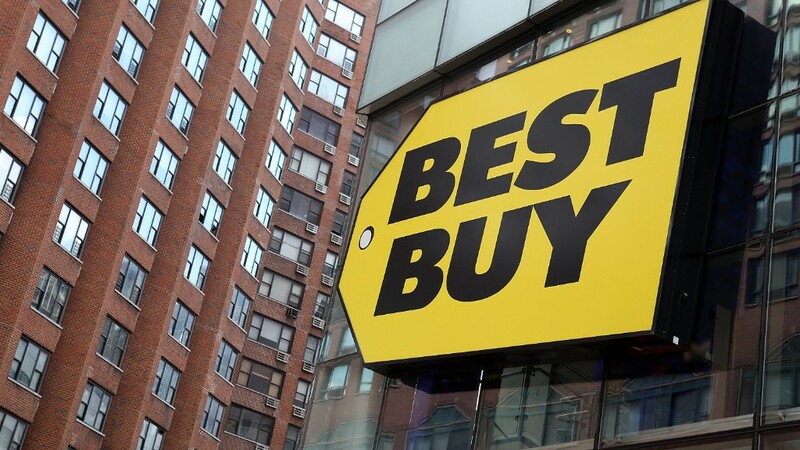 Like other retailers, Best Buy's third quarter ended on November 1st. And with the holidays around the corner, many retail analysts have noted that low gas prices are a reason to be merry, as consumers should have a bit more money to shell out on gifts. To that end, Best Buy CEO Hubert Joly said on his company's earnings conference call that the retailer will offer a greater assortment of gifts below $100 dollars this holiday season. However, that doesn't mean that Best Buy is immune to the world's problems. Its international revenue dove over 8%, hampered by unfavorable currency exchange rates from a strong dollar and a dip in China sales.